This single story home is now under contract! A perfect 3 bedroom floor plan, wood floors, huge kitchen, and a deck in the backyard. Formal dining and living rooms complete this cul-de-sac home. If you are looking to buy or list in the Cypress, Texas area, give us a call today. We can assist you with your next home purchase or listing your existing home. People are moving to the area and need homes! 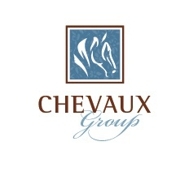 CHEVAUX Group, PLLC has the experience to help you with your next real estate transaction. Give us a call today. We can't wait to work with you! How Does Your Home Smell? Does the End of the School Year Result in Fewer Showings? What Does "Show Ready" Mean? From Ramschackle Roost to Yowzer Wowzer! Home Exterior Cleanliness IS Important! Ready to Sell Your Home in The Woodlands, Texas?